Brad has been out of town for the past 3 weeks so when he came home for a few days, we decided to head out to dinner just the two of us. Dinner, drinks and a little holiday shopping. Zoës Kitchen recently opened in town and we've heard nothing but great things so we decided to give it a try. All Zoës Kitchen's dishes are made from scratch daily using only simple, fresh ingredients. They serve high quality, nutritious meals quickly and conveniently -- there are no excuses not to maintain a healthy lifestyle during the holiday season! Brad and I started a with a red pepper hummus and pita plate - I will share a special offer below so you can try this dish yourself -- for free! He ordered steak kabobs, I had a Greek salad with grilled chicken and we both ordered a glass of white wine. To say that we both liked our dishes would be an understatement, we absolutely loved them! Our food was cooked to order and everything was seasoned perfectly and packed with tons of different flavors. The steak and chicken were grilled to perfection. The veggies were fresh and crispy, the pita bread soft and warm. Zoës Kitchen not only offers a complete menu of Mediterranean dishes at their locations but they also offer catering options and ready to go - always fresh - sides. 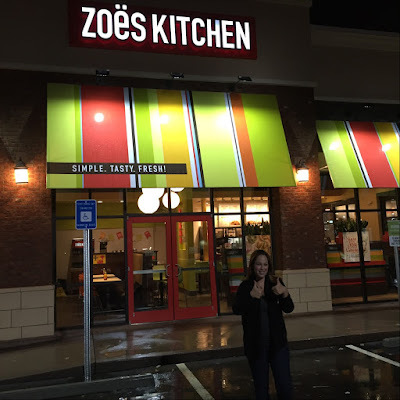 Born in the Mediterranean and raised in the South, Zoës Kitchen is a natural extension of Zoë Cassimus' lifetime of cooking for family and entertaining friends. Their menu is inspired by Zoë's family recipes and her simple, fresh-from-the-garden sensibility. At Zoës, ingredients are delivered fresh through the back door daily. Nothing is fried and there are no microwaves! What you’ll find at Zoës Kitchen is Mediterranean-inspired food, where grilling is the predominate method of cooking along with an abundance of fresh fruits and vegetables, fresh herbs, olive oil and lean proteins; all while keeping our guests’ dietary concerns in mind-- with gluten-free, vegetarian and vegan options. 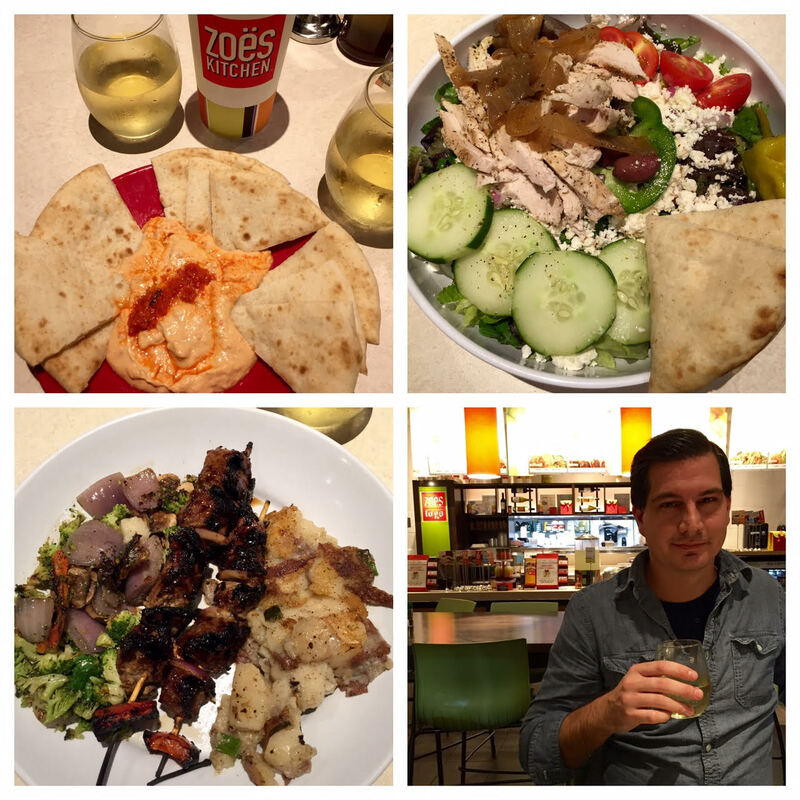 We enjoyed Zoës Kitchen so much, I want to share love with you. Receive a free hummus and pita on the house! Hummus is one of their nutrient-dense Mediterranean-inspired signature dishes that make for a great snack or starter dish. 6. You will have 14 days to redeem this offer from the day you enter “goodness” into the app. This code is valid until December 31st, 2015.